In the aftermath of Hurricane Harvey, the U.S. Army Corps of Engineers made two critical decisions: first, to pool floodwaters within the Addicks and Barker Reservoirs up to elevations above which the government owned, causing enormous flooding upstream of the reservoirs; second, to release floodwaters downstream into the Buffalo Bayou Corridor with knowledge that thousands of businesses and homes would become inundated downstream. To compound this disaster, most of the flooded properties were not covered by flood insurance. The reason: FEMA determined that regions immediately adjacent to a 70 year old, critical component of the flood control system in the fourth largest city in the country were not in fact Special Flood Hazard Areas. Or more pointedly, the United States government decided that these areas were not at major risk of flooding – – and then decided to flood them. 2017 was a particularly active hurricane season for the Texas Gulf with a 154% increase in the total number of hurricanes and a 142% increase in the number of named storms. Hurricane Harvey brought an unprecedented amount of rainfall to the region: over 50 inches for much of Houston and a record-setting 65 inches for parts of Beaumont. 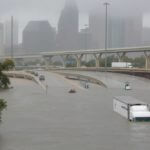 The dramatic hurricane season and the devastation caused by Hurricane Harvey prompted federal agencies to reevaluate many of the floodplain designations around the greater Houston metropolitan area. Many homes and businesses that flooded during Hurricane Harvey were located well outside of the 100-year floodplain established by the Federal Emergency Management Agency, or FEMA. These regions are called Special Flood Hazard Areas, and they are subject to a 1% annual chance flood event. 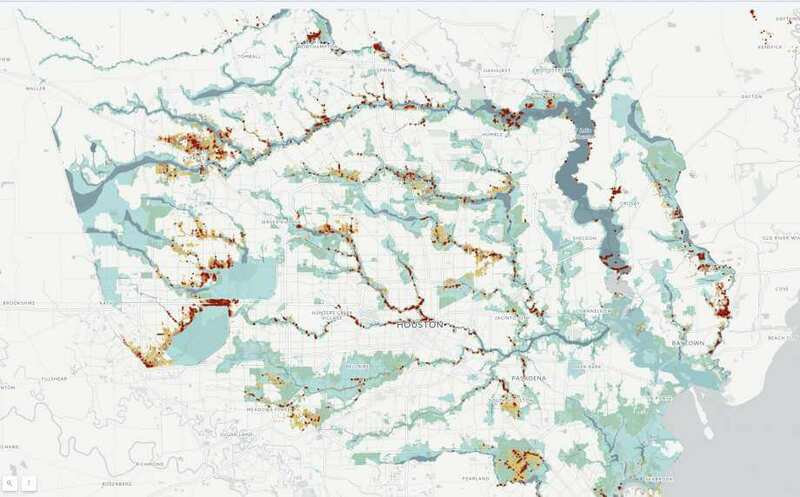 FEMA decides which areas are subject to a 1% chance of flooding through its Risk Map program. Only about 20% of the properties flooded as a result of Harvey carried flood insurance, illustrating the trust that most property owners have in FEMA’s assessment of the likelihood their property might be vulnerable to flooding. The massive flooding outside of FEMA’s 100-year floodplain angered many property owners, who subsequently put pressure on the agency to reassess the floodplain maps. The National Oceanic and Atmospheric Administration, commonly known as NOAA, has already updated its own potential rainfall maps in Texas and it is currently under peer review. FEMA plans to use the updated NOAA maps when redrawing the 100-year flood plain, but some property owners are upset FEMA waited until a catastrophic event to reevaluate. Many of the flood plain maps currently used by FEMA have not been fully updated since the 1960s. Unfortunately for property owners, even when these fifty-year-old maps were created, there were extreme limitations. The maps grossly under-estimated the floodplain due in part to a limited data set used by the agency, which included a time period where the Gulf Coast region received substantially less rainfall. The maps also did not anticipate over 50 years of urban development that occurred throughout Houston and along the coast. By reevaluating the floodplain maps, FEMA will utilize better technology that can more accurately pinpoint areas at risk for flooding. Unfortunately, it will take several years for FEMA to complete the process of updating its flood zone maps, leaving many property owners in the dark as they begin to rebuild. Most flood insurance is backed by FEMA’s National Flood Insurance Program, and managed by private insurance companies through the Write Your Own (WYO) program. Even though these policies are issued by private insurers, the federal government pays the claims. Most private insurers have left the flood insurance underwriting business, though there are some surplus lines insurers that offer private or excess flood insurance. If and when the private insurance market is encouraged to reenter the flood insurance business in a meaningful way, they will have every financial incentive to do a much better job determining areas prone to flooding. Until then, the federal government will continue to engage in clearly incompetent underwriting, flood mapping, and ultimately losing money and creating a mess similar to what so many West Houston area residents experienced following Hurricane Harvey. While property owners trying to pick up the pieces after Harvey may not benefit from updated floodplain maps, they do have legal options as they move forward with insurance claims. If property owners have questions about denied, delayed, or underpaid insurance claims or other Harvey related recovery questions, the experienced attorneys at Raizner Slania LLP can help. Our lawyers are working with hundreds of Texans in a variety of different Hurricane Harvey claims. Call us today to schedule a free consultation to discuss your case.